Renowned Chinese composer, conductor and artist Tan Dun has been appointed as dean of the Bard College Conservatory of Music, the US Bard College said on Friday. As dean, Tan Dun will guide the conservatory in fulfilling its mission of teaching young musicians both new music and music history, while deepening an understanding of its connection to history, art and culture, and society, according to a statement by Bard College. He will also help to build the synergy between Eastern and Western studies at the conservatory, including its recently founded US-China Music Institute. 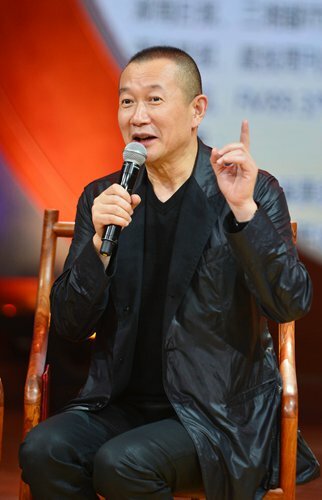 "We are delighted that Tan Dun, a conductor, composer and artist whose work bridges cultures and genres and embraces a wide definition of music, will lead Bard's Conservatory of Music," said Leon Botstein, president of Bard College, in the statement. "The language of music is universal and can connect all kinds of people from diverse cultures, languages and with different dreams. I look forward to working with the students of Bard's Conservatory of Music in imagining and reimagining their careers as artists and helping them become even more connected to our growing world and widening musical soundscape," said Tan. Born and raised in Central China's Hunan Province, Tan has made an indelible mark on the world's music scene with a creative musical repertoire that spans the boundaries of classical music, multimedia performance and Eastern and Western traditions. The composer will begin his tenure on July 1, 2019, according to the statement. Founded in 2005, the Bard College Conservatory of Music is recognized as one of the finest conservatories in the US.